The average beauty blogger, myself included, goes through an obscene amount of different products at an alarming rate. I think part of it is to satisfy our insatiable desire to try EVERYTHING IN THE WORLD EVER, and the other part of it is that we’re always trying to keep our content fresh and new. This does of course mean that many, many dozens (or even many hundreds!) of products we’ve tried and loved end up falling by the wayside when the next pretty thing comes along. I am as guilty of this as the next blogger, but in a bid to stop being so wasteful and to save some much needed moolah I have decided to make a concerted effort to rediscover forgotten gems and revisit some products I’ve blogged about over the last 4 and a half years. 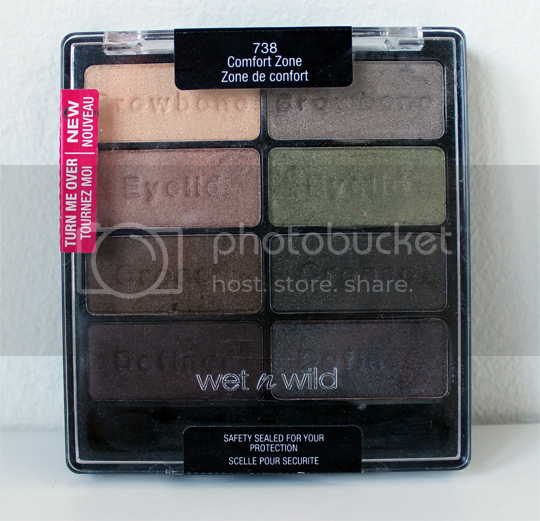 First up is the Wet N Wild Comfort Zone Palette. 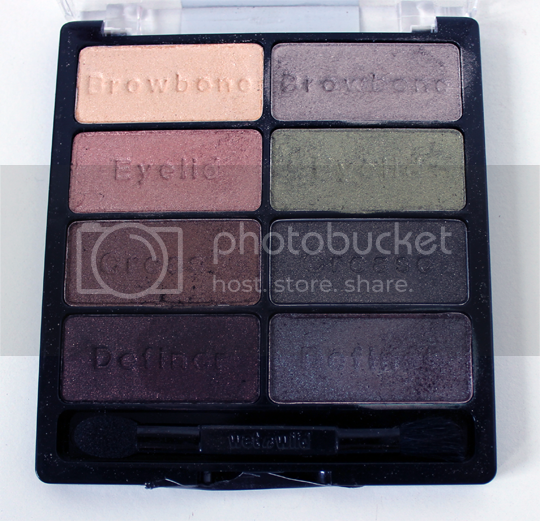 This palette came into my possession as part of a swap package in late 2011, and I first featured it here in February 2012. I find it quite interesting reading back some of my old reviews and seeing if my opinions of products are still the same and if anything has changed. 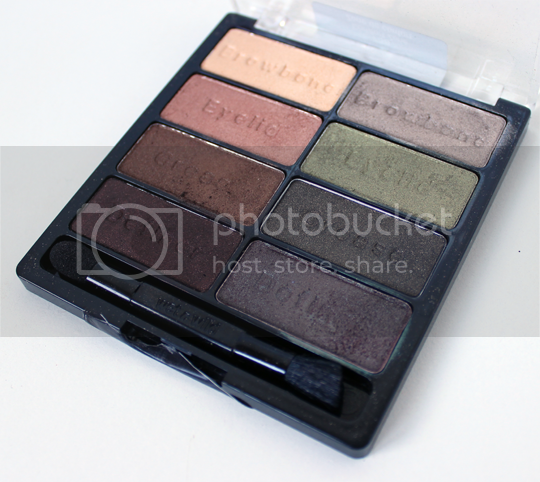 Nearly 2 years ago, I said that while the shadows in this cheap-as-chips US export are stunningly pigmented and easy to blend, I had concerns over travelling with it because the packaging isn’t exactly sturdy and the shadows themselves are very soft and crumbly. That’s still absolutely true – but I also said that the green shade in the palette was the one that I wouldn’t get any use out of because I didn’t like to wear green on my eyes. Well, that’s definitely no longer true as green shades are probably one of my most commonly used these days! My favourite shade is probably still the reddish-brown-with-blue-duochrome-object-of-wonderment in the bottom right corner, although it’s definitely no longer unique in my collection. It’s a dead ringer for Make Up For Ever’s Star Powder in 955 and Illamasqua’s Pure Pigment in Fervent (of which I have a pressed version in the Empower palette). 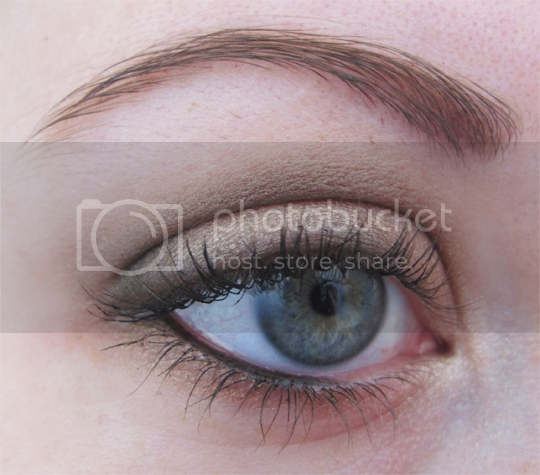 Also, while I like to think I’m still fairly adventurous when it comes to makeup I think my eye makeup style has been toned down quite a lot in the last two years when comparing the photos in this post to the one last February. Funny how things change, huh? But this palette still remains shockingly good for its bargain price tag of $4.99. From what I remember of my trip in Summer 2011, Wet N Wild is available in CVS stores so if you’re heading stateside anytime soon you should definitely grab one of these – or find yourself a transatlantic swap partner! beautiful shades, wish we could get these in the uk! I bought this in the US a couple months ago, lovely colours and such a great buy for the price! However my eyeshadow collection is so vast I’ve yet to try it – I really need to downsize my stash! 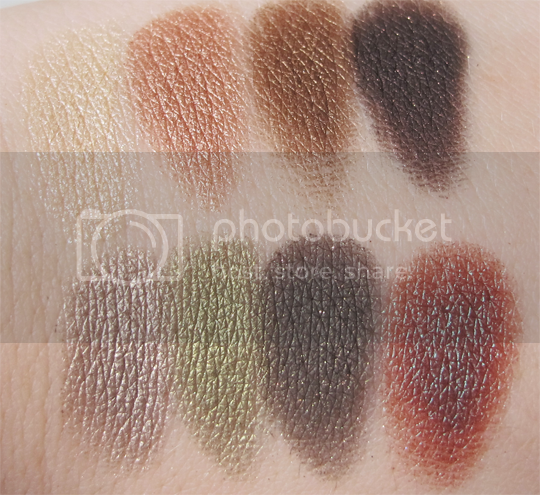 I have the palette but I believe I haven’t yet used it-your swatches are definitely making me want to go and dig it out! !